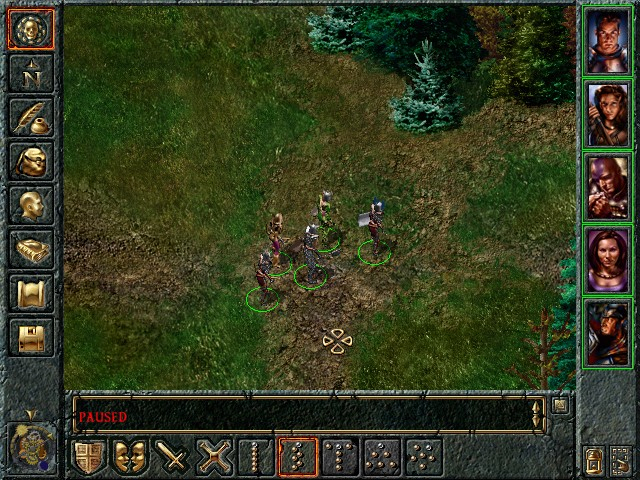 Heya, I decided to start a run of original GoG unmodded Baldur's Gate today, on a nostalgic impulse. I just played to Nashkel with the "canon" starting party of Jaheira, Khalid, Montaron, Xzar, and Imoen. I'm playing a half elf fighter-cleric. There's a lot I really like about the original game over the EE's, (Jaheira's Entangle spell is party friendly!) but that's another topic, maybe. Because of several completed quests, our reputation was pretty high. 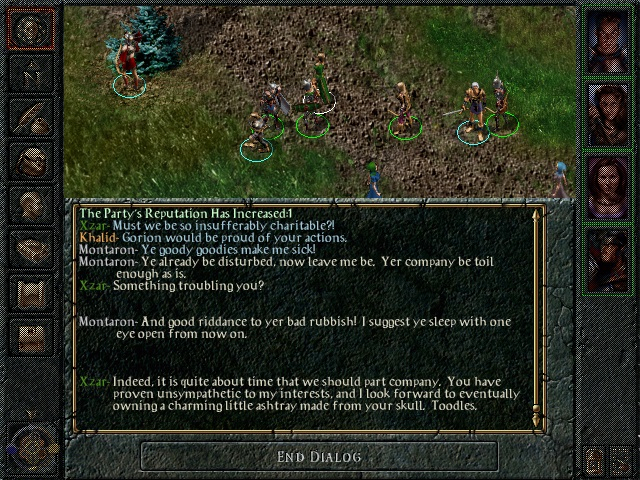 I noticed that the character dialogues seem to trigger much more often in original BG1. I had already gotten Khalid's (paraphrasing) "I don't mean to be a bother, but... umm...could you be less... I don't know... um.... evil" three times. Once was to Xzar, where he got "Will you continue to bother me, or shall I indulge my sweet tooth? ", and twice to Montaron, getting "Will ye shut up, or must we come to jabs?" I had also twice gotten Jaheira saying to Xzar "You're very amusing, in a 'What the hell is wrong with you?' sort of way," with Xzar once responding "Be quiet, ye annoying harlot." I don't know if it's visible in the screen shot, but I had roleplayed that Xzar had a fascinated attraction to the ogre's shiny, gold-plated belt, and had insisted on taking it for his and putting it on, becoming, Xzarina. And he was fine with that. I just noticed that mirrored sprites weren't a thing in original BG1. Notice in this screen shot, our shields remain on our left arms, and our weapons in our right hands, while facing to the right. This little trip down nostalgia lane is reminding me in a lot of little ways, how when developers try to make things better, they wind up making them worse. "The more complicated the pipes, the easier it is to stop up the plumbing. ~Scotty, Star Trek III"
Also, I've noticed that world map travel times are completely different than in the EE's, and frankly, much more logical. And, there's no overlapping of scaled world map labels where you can't see them. In the original game, you hover your mouse pointer over the map module you're considering traveling to, and after a couple of seconds, then it shows you on a tool tip what will be the travel time. Wow, the awesome "enhancements" from the original game keep coming. In original BG, Protection from Petrification was a second level spell. So, no more cheesy going straight to the basilisks for a few cheesy levels with your first level solo FMT, if the spell was your way to do that. I wonder if the no-reloaders would be able to no-reload the original game without the ability to pause on their inventory screens? Has it ever been done? Most of these changes were due to upgrading the engine to BG2's. I'd argue that most of these "enhancements" you complain about do actually improve the game. About the only thing I agree with you on is the old proficiencies. Having weapon groups increases build flexibility. Also, what the heck were they thinking removing the southern woods of Beregost away from the town to a four hour hike, when it's supposed to be zero hours distance, like the temple map? 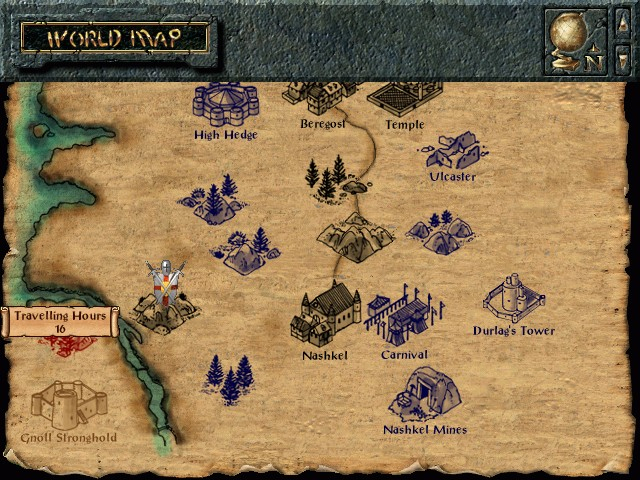 The child on the southern woods map tells you the town is right there, the gnome in the inn implies his boots are right there, and the letter to Miriam implies the town is right there. I wouldn't mind if a tweaks mod included unpausing when in inventory screen actually. Though GrondO has completed BG without ever pausing the game in combat anyway! IIRC, one of the reasons why the travel times were changed was due to the fact that travel times to and from different maps were not consistent. It’d take 8 hrs to travel to a map, but 12 hours to travel back. It was a very steep climb back? 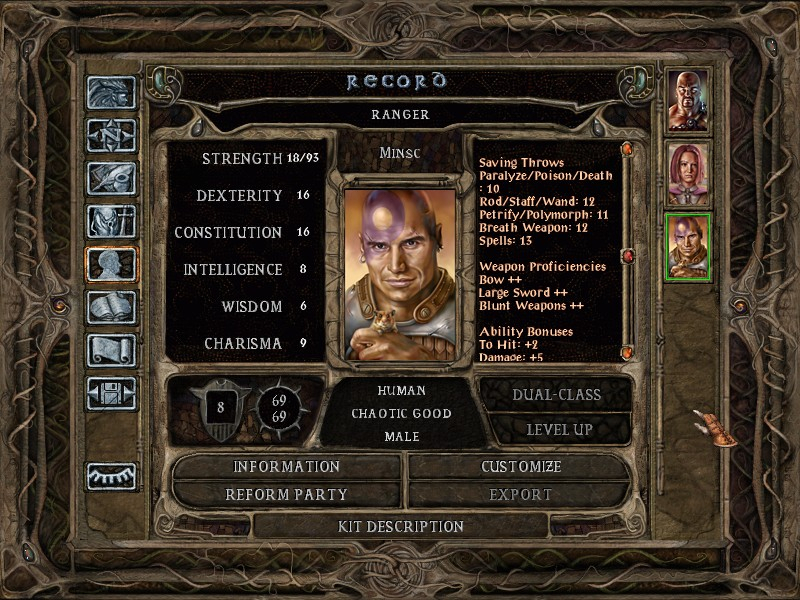 Allowing the game to stay paused while you access the inventory screen is BG2's greatest sin. Ah yes... (Singing like Archie and Edith)... "Those were the daaaaays." 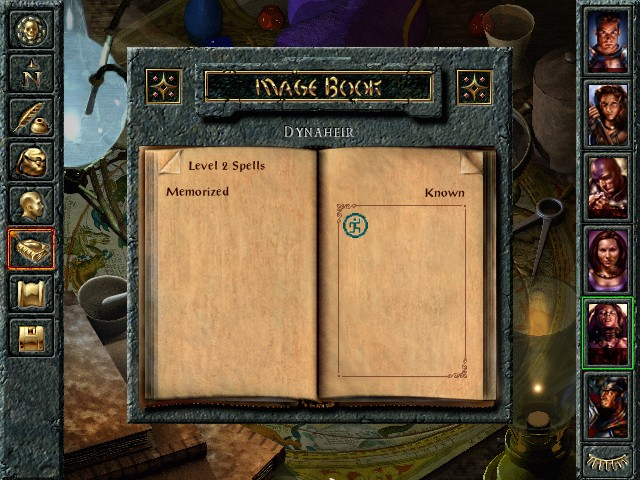 -Magic items show number of charges. They didn't in original. -Walking speed is so much faster. This is a boon when you've played the game 1,001 times before. -Current action icons on portraits are extremely helpful in managing combat. -Zoom ability is very nice. -Innate widescreen without a mod, and high resolution are very nice. Looks beautiful, and a huge improvement over the original. -Kind of a no-brainer, but access to BG2 kits is nice. I was able to make my cleric a cleric of Lathander, with the appropriate kit. No Tutu plus DeGreenifier, or BGT needed. That's a big plus for me. -Pathfinding is amazingly better than before. If you don't believe it, start a game of original BG1 and play a few hours, like I did. -Quickspell buttons work as intended. In original, they cleared as soon as the spells were all cast, rendering them not nearly as useful. You had to keep resetting them every time you rested. -I really like the colored circles. That was my favorite feature of EE when it first came out, and is still a favorite feature. The color sliders are also very nice, including a lot more colors than you could have in original. -The quickloot bar is very nice. It's a shortcut that reduces realism, but again, when you've played 1,001 times before, it's just nice to have shortcuts from having to manually click on everything. -If I want "no pause on inventory screen", I can just house rule it in and not go to inventory screens during combat. It's like not wanting to cheesily spam resting. Just don't push the darn button but once every 16 hours. -Permanently toggled on highlighting of containers and doors is *really* nice. Again, it's especially nice when you've already played 1,001 times. -Seeing enemy health really helps game play. In original BG, you could not see *any* indication of how injured or not injured your opponents were. -Hit point totals on portraits are very helpful. In original, you didn't get that. You had to cursor over a portrait or avatar and wait for a tool tip to see your hit points. And, that didn't work on enemies. -Point of interest markers on city maps are very helpful. Original didn't have them. The city maps were blank, and you couldn't even highlight doors. I never found Kagain's shop or Firebead's house in original BG1. For me, the only real thing BG1 has over the EE is the original item sprites. While the horned helmets etc. look a little goofy to me, it was so very nice that the Sword Coast and Amn had distinct styles with their weapons and armor. I thought of one more much appreciated feature now that I'm back on EE. I had forgotten how truly bad the journal used to be. Every quest update is just put in there in a big, disorganized list as soon as you get it. It's almost impossible to keep track or find anything specific. The EE updated journal feature is extremely helpful, in how it sorts all quest chains into listed tabs, and marks them "finished" when they are done. I understand a few quests still don't sort into the journal properly or mark as "finished" properly after completion, but most of them work beautifully, and boy, is that ever an improvement. Playing the original for a while and then immediately going back to EE can really make you appreciate just how much has been improved. I had quaint, nostalgic fun with the original, and as I was feeling at the beginning, there are a few things I miss from it, but I don't guess I want to give up all the cushy luxury of the modern version as a regular thing, after all. I'll probably still try the original every couple of years as nostalgia, and then go back to EE. This thread is the second time I've done it and posted about it in the past few years. Always love me the rare love-for-vanilla thread! Most of these changes were due to upgrading the engine to BG2's. I'd argue that most of these "enhancements" you complain about do actually improve the game. The sprites are pretty unforgivable, as is the mish-mash of art styles. BG1 is a low-level adventure with a lot of exploring wilderness and dungeons, so the sprites looked crisp and the style is somewhat plain. BGII is a high-level adventure with a whole lot of magic and mystery, so the sprites look smooth and the style is more alien. I always enjoyed the distinction between the two. I would gladly throw out dual-wielding in BG:EE to get the non-mirrored character sprites back. Obviously, different players have different priorities. So I'm not suggesting my opinion is the only valid one. But, definitely some things I miss about vanilla. Still, Beamdog was more careful at maintaining BG1's integrity than TuTu/Trilogy was, so good for them for trying. When did missile stacks get pushed past 20? That was a wonderful change too. Yeah, ammo stacks getting increased to 80 was another nice change too, although the inclusion of the Ammo Belt container sort of alleviates the issue of having a pack full of arrows as well. 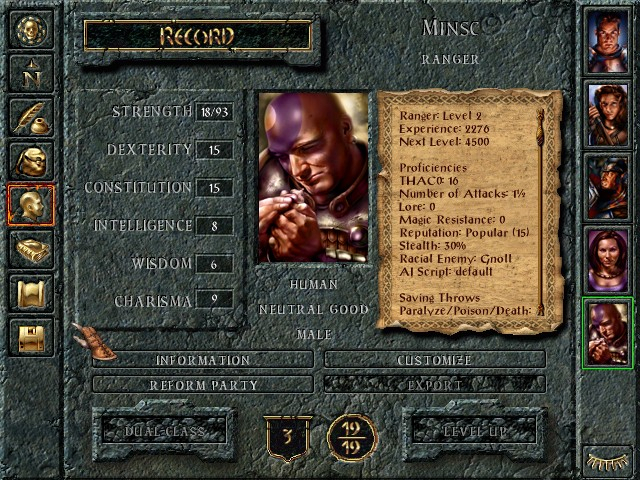 I believe Baldur's Gate 2 changed it to 40. EE increased it to 80. It was wonderful from a convenience standpoint, but it often crosses my mind how absurd it is that my archer can carry over 1,000 arrows and they dont even weigh anything! I seriously have never seen any archer carry more than about 20-50 arrows at any one time in RL or even the movies.